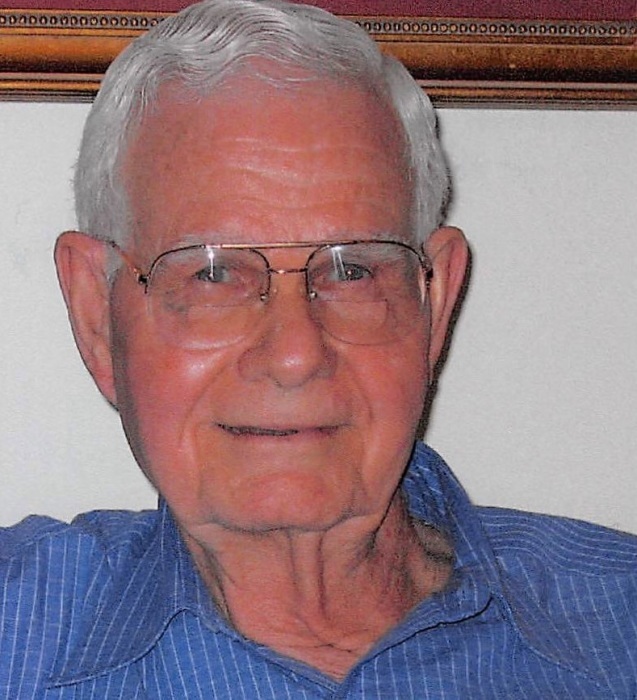 Charles Wesley Doughty “CW” passed away on January 31, 2019 at Our Lady of the Lake Hospital while recovering from surgery. He was 93 years old and a resident of Walker LA. He served in the United States Navy during WWII and was honorably discharged in 1946. He retired as a Captain from the Baton Rouge Fire Department after 30 years of service. He is survived by his loving wife of 67 years Mary Edith Hadden Doughty, 3 children and spouses, Shirley Perry (Russell), Milton Doughty (Judy), and David Doughty (Bridget), 3 granddaughters, Ashley Doughty, Kristen Doughty Jastram (Bryan) and Lisa Doughty Roy (Ty) and 4 great grandchildren, Collin and Grant Jastram, Grayson and Caroline Roy. He is also survived by sister in law Betty Hadden Pope (Robin) and numerous nephews and nieces. He was preceded in death by his parents Ernest William Doughty and Lissie Ivey Doughty, brothers Russell Doughty and Ernest Preston Doughty. Visitation will be Sunday February 3, 2019 from 5-8 pm and Monday, February 4, 2019 from 12-2 pm followed by funeral services at 2 pm all at Resthaven Gardens of Memory & Funeral Home. Services will be conducted by Pastor Albert Pendarvis. Pallbearers will be Kenny Doughty, Jerry Doughty, Ty Roy, Bryan Jastram, Bert Pope and Robert Pendarvis.